It is possible to knit shadow pleats combining them with holding position to knit wedges which will produce a more circular shape . The shaping can occur in both thick and thin areas. When working in stocking stitch, if a soft looking pleat is desired, the knitted fabric is simply folded to form the pleat and joined to keep the fold. 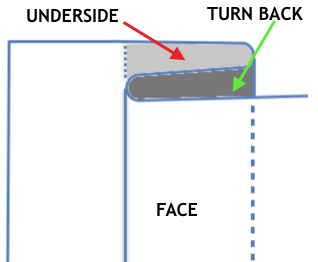 Crisper folds require the added techniques described above. In hand knitting fold lines are created by slipping stitches on the fold line on the “public side”. 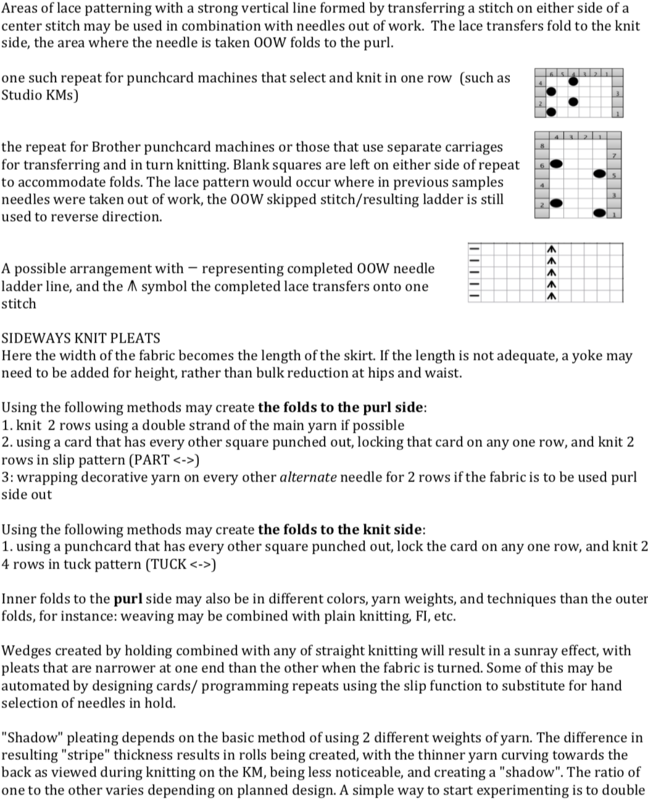 Assuming the latter is the knit side of the fabric, this is often indicated by “sl 1 with yarn in back” for front fold line (and as another slip st option, for with yarn in front for back fold line). A purl stitch is more commonly worked on the same side of the knit for the opposing, inner fold. Both the slipped stitch and the purl one are purled on the return purl row pass. It is also possible to work the former purl stitch as a purl, resulting in a garter stitch is fold inner fold. Box pleats are composed of alternating right and left knife pleats, pointing away from each other. Inverted box pleats are composed of one left and one right knife pleat, pointing toward each other. 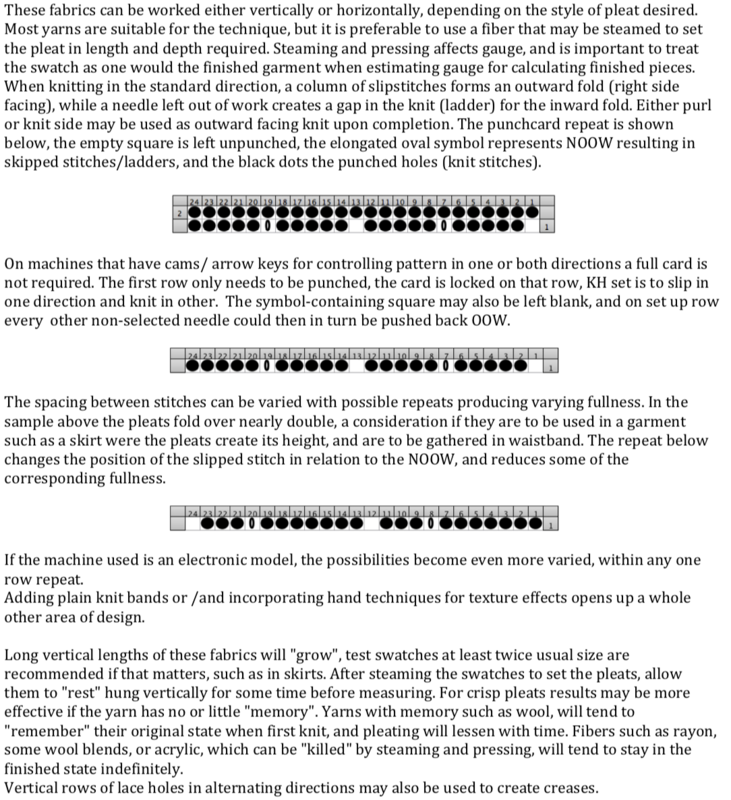 The subsequent posts followed with the information in on pleated skirts made with lace carriage transfers (from Brother Knitting Techniques Book ) as well as on ribbed folding fabrics, and automating pleats single bed (‘holding’/slip stitch shaping). 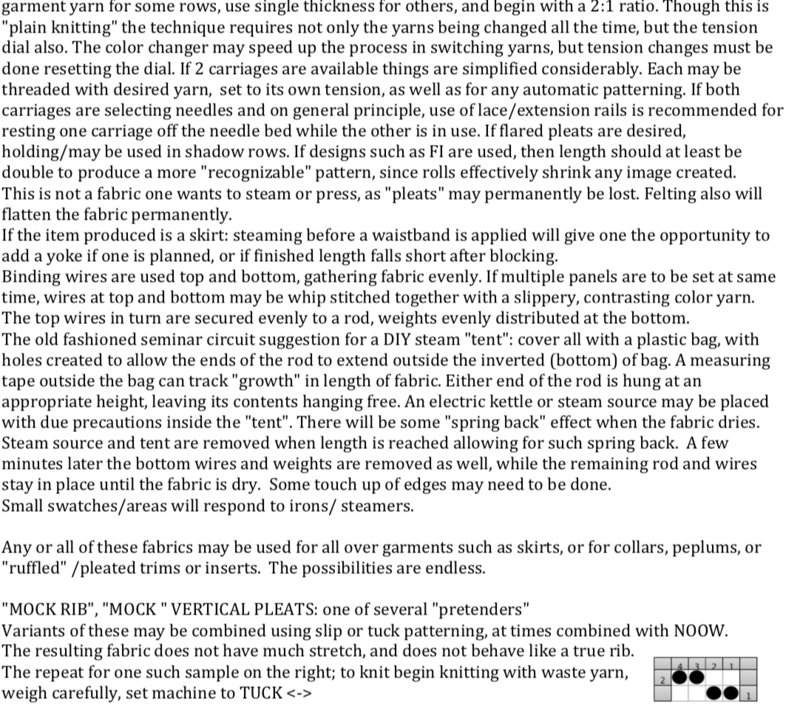 Some authors and publications include hems in the category of pleats as “horizontal”. To my mind they merit their own category. Some related techniques that may be used at the bottom, in the body of the knit, at the top, or only on part of the surface may be found in my previous posts hems 1, hems 2, and ruching .